The simultaneous tachyon flux of 1876 and 2076 forever changed the world, introducing a myriad of new races to Earth from other dimensions before the strange portals closed with the coming of the 20th century. The 200 years since have been filled with the miraculous rise of alter sapiens, the demigrant struggle for equal rights, and the ascent of the planet’s true masters: hypercorporations. Earth is firmly in the grip of these monolithic institutions, gradually being stripped away as more and more aspects of life are codified and monetized. For most this is a bleak and repetitious existence but for some it can be much more—for operators it offers an avenue to vast power, prestige, and wealth. Hypercorps 2099 is a campaign setting and rule system for use with the 5th Edition of the world's most famous roleplaying game, taking adventurers into a cyberpunk future and granting them superheroic abilities that raise the drama of their tabletop game to unprecedented levels using the Hyper Score system. As operators the party will work for and against hypercorporations to frame executives, pull heists, sabotage laboratories or shipments, and whatever else their plutocratic overlords pay them to. Over four dozen characters and 10 incredible full page illustrations by artist Nathanael Batchelor! A Hyper Equipment chapter with rules on advanced craftsmanship, advanced armor, the new arcanosteel material, cybernetics, gear, melee weapons, vehicles, and a host of futuristic firearms. 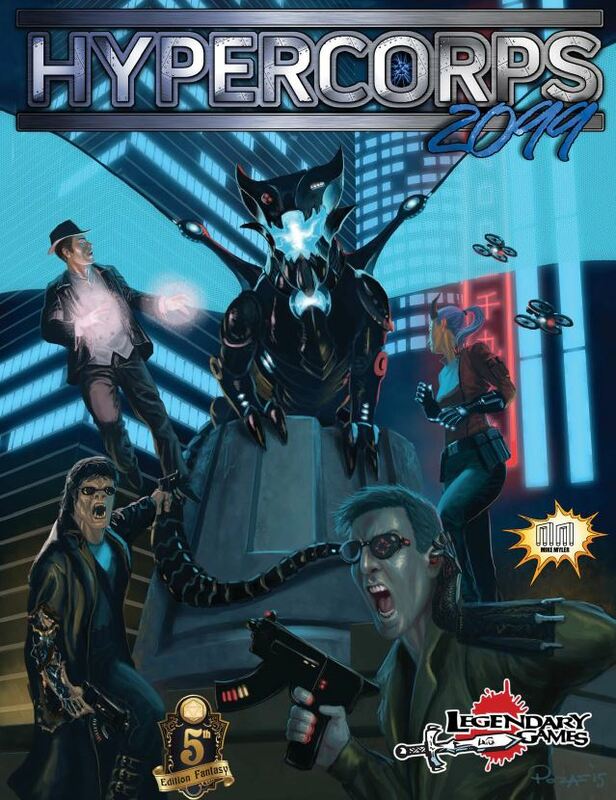 If you aren’t positive this exciting new 5th Edition supplement is for you, download a free preview PDF of Hypercorps 2099 to see what amazing things await you within this deluxe tome. Dive into the future with all the grit, fervor, and intensity you can offer for the operations ahead—there are bytecoins to be made, prestige to acquire, and power to be won!